No matter what the industry, the cost of virtual servers is a significant expense for many companies. But even worse than that high expense is the fact that so much of that money is wasted. Indeed, many companies spend hundreds of thousands of dollars to install servers, only to find that just a tiny percentage of each server is needed to support day to day operations. That means as much as 95% of virtual server capacity is sitting unused, and 95% of the server budget is wasted. The problem is that IT managers cannot just put two or more applications on one virtual server. This kind of doubling can cause serious conflicts, and bring all loaded applications to their knees. With so much riding on 24/7 availability of computer resources, housing more than one application on a single box is simply not worth the risk. Fortunately, there is another way for companies to cut their costs without sacrificing the quality of their operations or the availability of system resources. 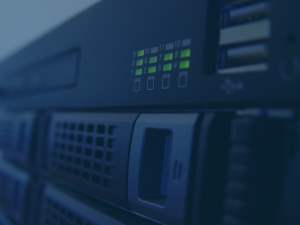 With server virtualization, companies of all sizes can slash their IT and networking costs without impacting the safety and integrity of the data housed on their networks. Server virtualization allows a single physical server to house at least four, and sometimes up to twenty, virtual servers. This quadrupling of capacity reduces costs, simplifies maintenance and lets one server do the work of many different machines. With server virtualization companies across all industries can greatly reduce the number of servers they buy, which in turn lowers related costs like the cost of maintenance, software and system upgrades. Server virtualization can also save companies money by reducing the need for dedicated onsite support. Since there are fewer physical servers to check, there is less need for staff members to be onsite checking servers every day. Indeed, a great deal of the work can be performed remotely, allowing a single IT team to manage multiple sites without reducing responsiveness or putting the business network at risk. Virtualization can also help companies save by reducing the amount of time it takes to provision new virtual servers and bring them online. We all know that time is money – especially in the IT world. But the benefits of server virtualization do not end there. By implementing a virtual server environment, companies can also save significant money on their energy costs and make themselves into leaner, greener companies. With so much emphasis on needless energy consumption and sustainability, it is helpful to know that server virtualization can trim energy costs up to 75%, due to a smaller number of physical servers and a reduced need for HVAC equipment. Using less space to house servers also reduces the use of space, and the company’s carbon footprint as well. With so many benefits and cost savings, it is easy to see why so many companies are choosing to take their servers virtual. Server virtualization carries a host of benefits, from simplified maintenance procedures and less downtime to lower costs and a reduced impact on the environment. Why not see how your company can start enjoying the many benefits of server virtualization today?